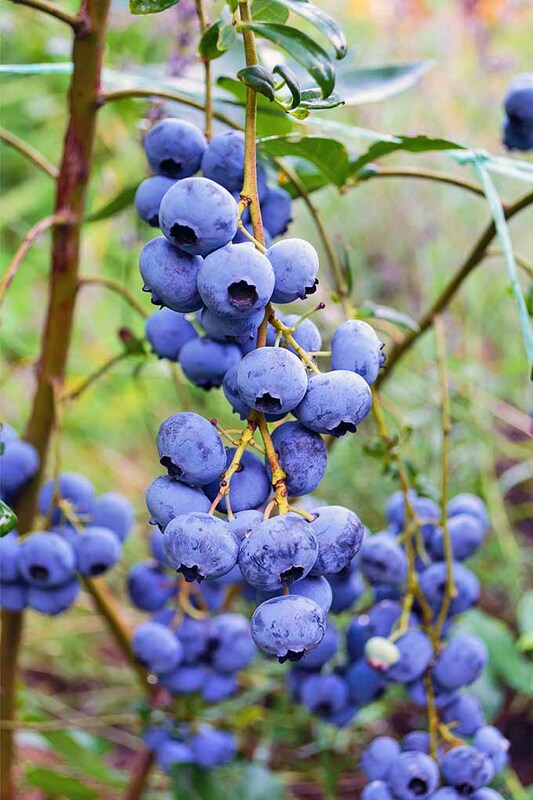 Homegrown blueberries are one of my favorite summertime snacks, with a sweet-tart flavor that’s perfect for enjoying out of hand, blended into a pancake batter, baked in a pie, or cooked down and made into jam. 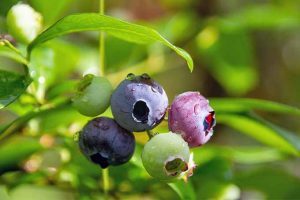 Though growing blueberries at home isn’t for everyone, given the right conditions, this could be the perfect crop to add to areas of the garden with well-draining acidic soil (think: near the stand of pine trees) and full sun. Dwarf varieties can even be grown in containers on the patio. And pink or white flowers and colorful fall foliage add ornamental garden interest as well. Native to North America, the first hybrid cultivar was developed in New Jersey at the turn of the twentieth century by Elizabeth White and Fred Coville, and they’ve been hugely popular ever since. This Southern Highbush type is a relatively new cultivar, developed at Mississippi State University. And it’s great for low-chill or even no-chill environments. That’s right – even if you live in a growing zone without enough nights with temperatures below freezing to grow other types of fruit, ‘Biloxi’ may do well in your climate. It actually grows better with under 150 chill hours per season, though you can still expect some fruit if you plant it in a cooler climate. 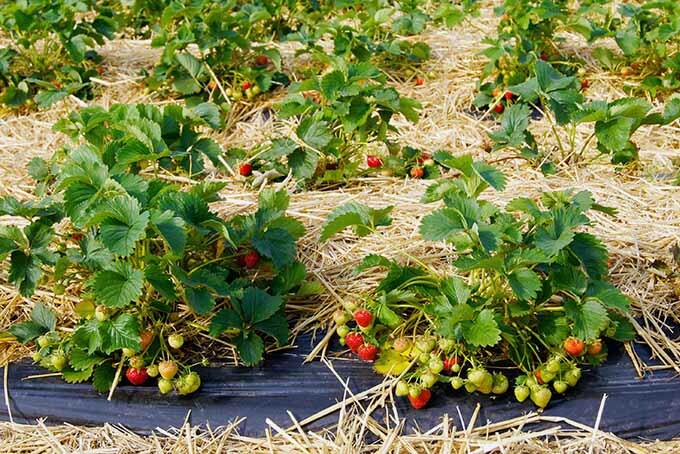 With a vigorous growth habit and medium-sized berries that are ready to harvest early in the season, plant in acidic soil amended with pine mulch and peat, in an area with full sun. The most popular variety in the world! 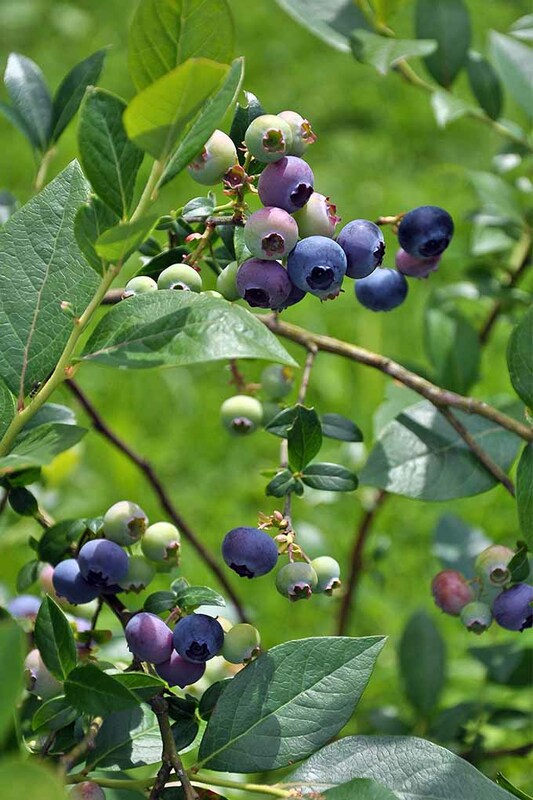 An upright, open growing, spreading Northern Highbush variety, you can expect ‘Bluecrop’ to grow at a medium speed, with a mature height around 5 to 6 feet and a spread of 4-6 feet. With a medium growth rate, green leaves that change to red on red stems in the fall provide ornamental appeal through the winter. 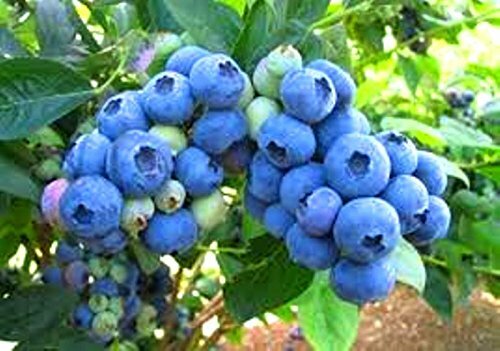 Most importantly, the firm, medium-sized light blue fruit is known for its excellent flavor, and berries are resistant to cracking. 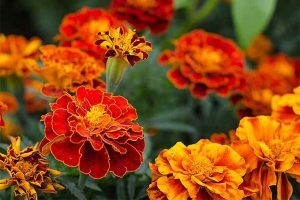 You can expect consistent yields and continuous production from this mid-season cultivar, which produces flowers starting in May, and a harvest by early August. This type prefers organically rich soil, with constant moisture and good drainage, and is known to succeed in areas of the garden where other edibles struggle. 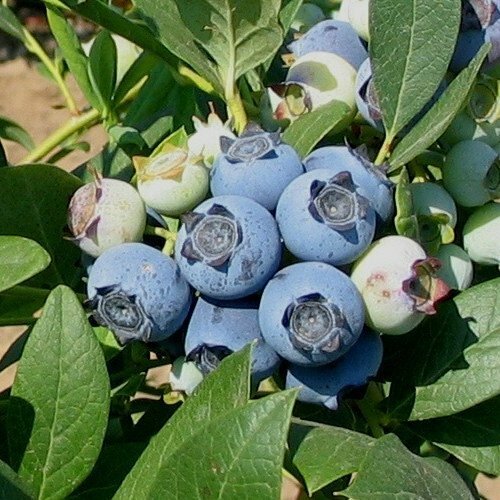 Known for its disease resistance, ‘Bluecrop’ is drought tolerant when mature. 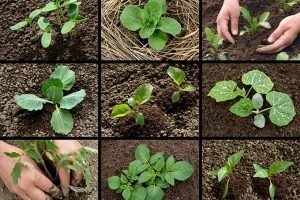 This variety is known for having shallow roots, so work carefully if you are doing any cultivation or tending to other plantings in the area. 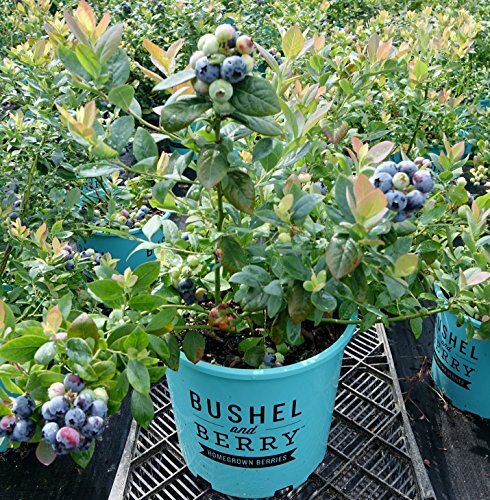 With sweet, light blue berries that begin to ripen in early to mid-July, this Northern Highbush cultivar is known as a great type to plant with other highbush types for cross-pollination. Green foliage turns scarlet in the fall, with a 5-6 foot maximum height and 3 to 4-foot spread. 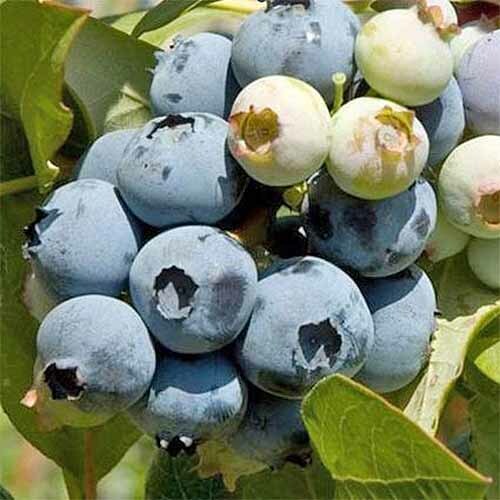 The mid-season ‘Blueray’ berries are known for being crack resistant, with a strong blueberry flavor and aroma, and firm flesh. This variety is known for overproducing, which means it will naturally set an abundance of fruit that can stress the plant, so it needs to be pruned regularly and carefully. This is one of the larger cultivars, growing to a max height of 8-10 feet with an almost equal spread, and large berries. A rabbiteye type, meaning it has berries that change in shade from pink to blue as they mature. 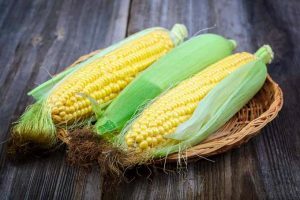 You can expect large harvests from this self-fruiting variety – so you can plant just one if you wish, though you can always expect higher yields with a buddy to cross pollinate. Tifblue or Climax are recommended. Many cultivars require attentive mulching and soil amendment, but this variety isn’t as picky, and is hardy in the face of late freezes. 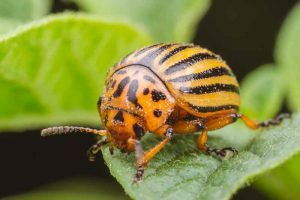 ‘Brightwell’ can tolerate partial sun, though full sun is always best for fruit-bearing plants. 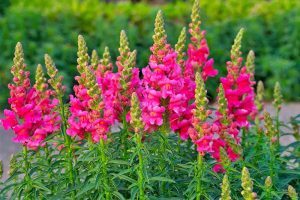 It produces attractive pink flowers, and green foliage that will turn shades of red and orange in the fall. 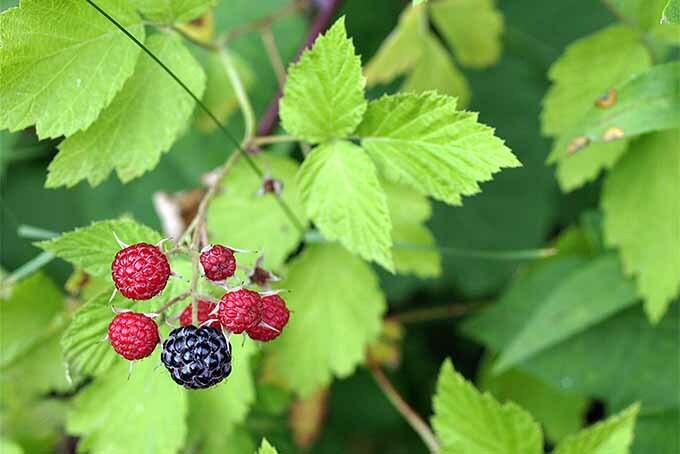 This Northern Highbush variety is known for the sweetness and excellent taste of its large berries, according to the New Jersey Agricultural Experiment Station of the USDA. Leaves turn crimson in the fall, and the disease-resistant plants can reach max heights over 6 feet at maturity, with a spread of 3-6 feet. With high yields and a late mid-season harvest, ‘Legacy‘ fruit stores well, and plants exhibit vigorous, upright growth. It will even keep some of its leaves through mild winters, for added garden interest. 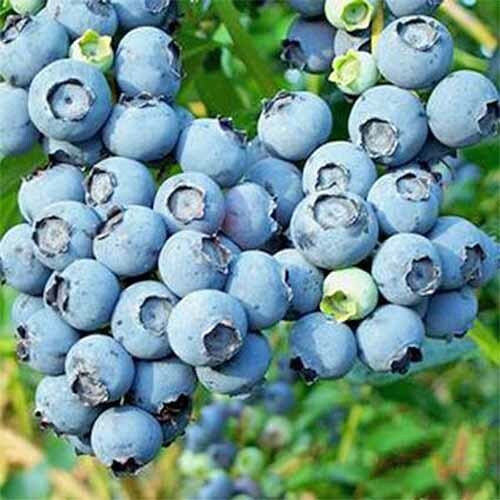 With a mature height of 3-4 feet and an upright mounded spread 4-5 feet, the blue berries are ready for harvest mid-season, and known for their robust flavor. 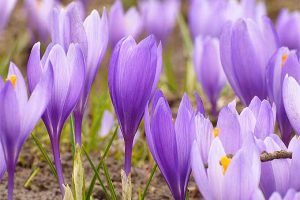 New growth in the spring adds ornamental interest, with leaves in varying shades pink, mixed with blue and dark green, and an attractive turquoise blue hue in winter. ‘Pink Icing’ grows best in full sun, but can tolerate some shade. 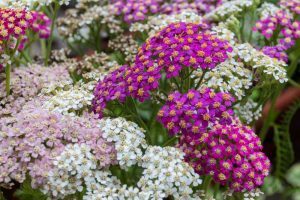 Relatively low maintenance, you won’t have to do a lot of pruning with this self-pollinating dwarf variety. 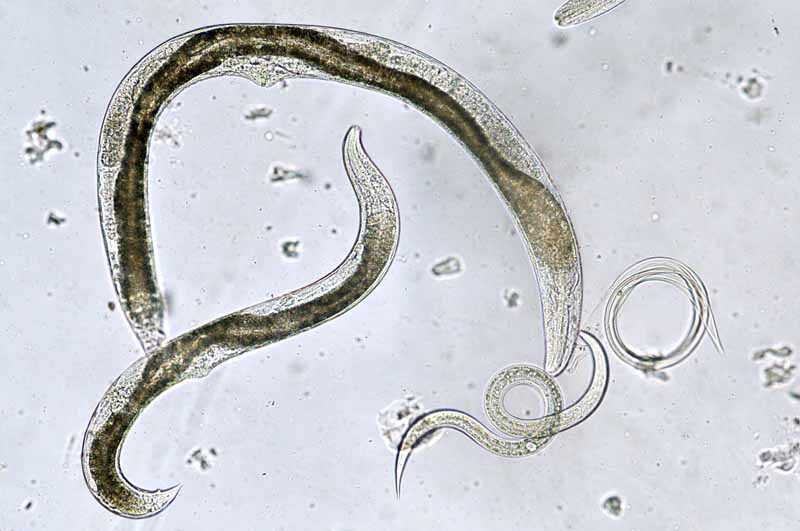 And grown under the right conditions, the fast-growing plants can live for 20 years. 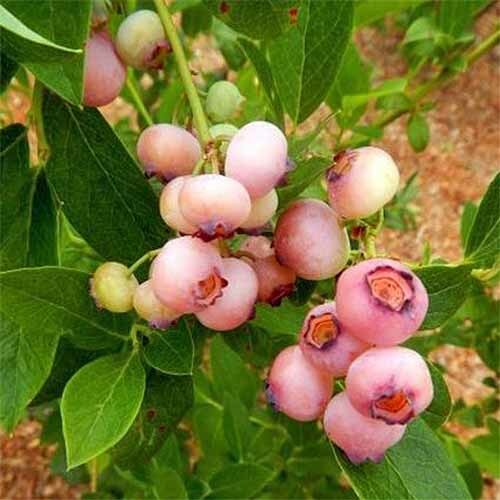 One of the more unusual cultivars, these blueberries are actually pink when mature, with the same flavor that you’re used to. And they freeze well, too. Reaching 4-5 feet in height and spread when mature, ‘Pink Popcorn’ is a compact Northern Highbush variety that prefers peaty, acidic soil and even moisture. 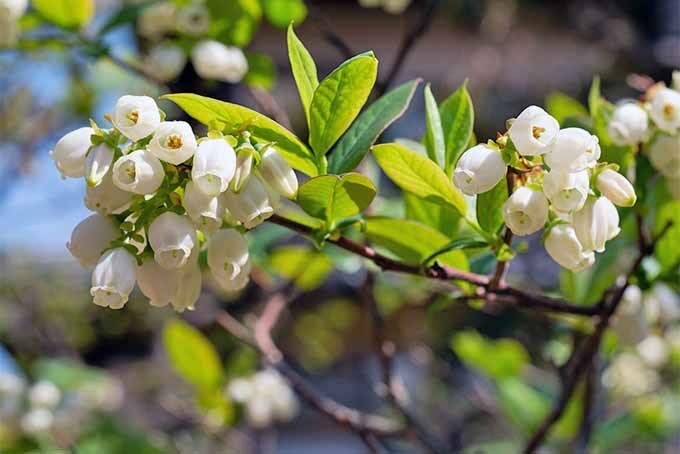 This cultivar grows at a medium speed, with white flowers and dark green foliage that turns red in the fall. 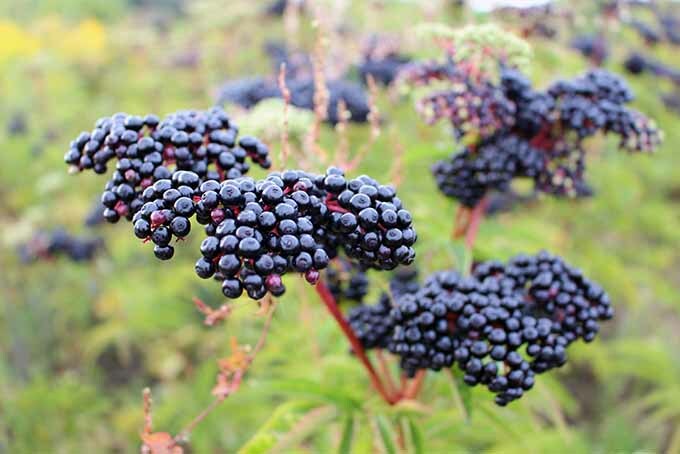 Fruit is ready for harvest early to mid-season, and you can expect a lot of berries from these hardy plants. 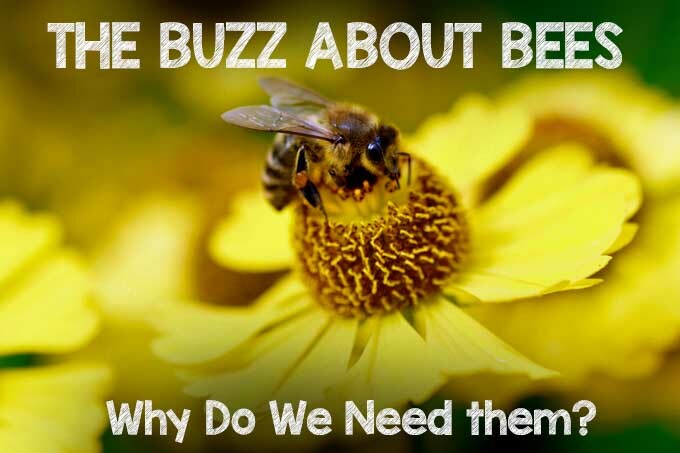 They are easy to care for, disease resistant, and self-pollinating. With a mature height and spread of 6-10 feet, ‘Powder Blue’ is a hardy cultivar with an upright growth habit and medium growth rate. White flowers bloom in late spring to early summer, which provides added protection from late freezes. And green foliage changes to red and yellow in the fall. This is a rabbiteye type is regarded as sweeter than other varieties, with harvests later in the season than you’ll find with other cultivars. 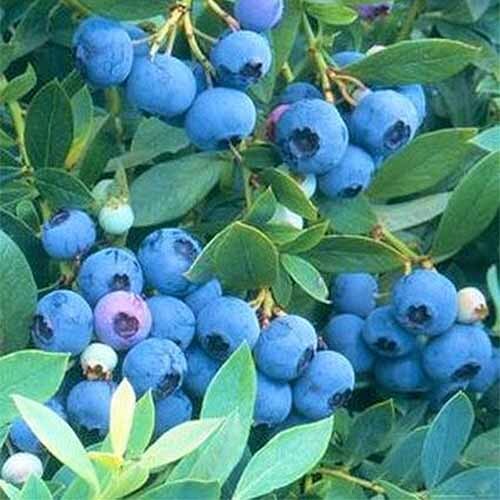 Expect a high yield of large, light blue fruit in clusters of up to 50 berries each, perfect for canning. They also hold up well to freezer storage. 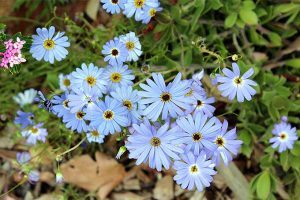 Generally long lived, plant ‘Powder Blue’ with other cultivars for cross-pollination. 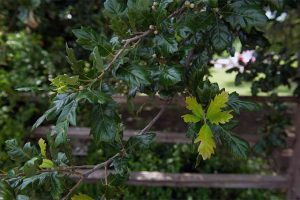 This cultivar stands out in terms of ornamental value, with pink flowers in the spring, and attractive blue-green foliage that turns burgundy red in the fall. Not to mention the sweet and delicious medium-sized fruit that’s ready for a mid- to late season harvest in late July and August. A dwarf Southern Highbush variety, ‘Sunshine Blue’ grows to a maximum height and spread of 3-4 feet. 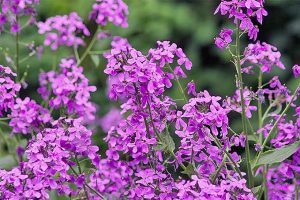 It’s easy to prune, and can even be grown in containers, so it’s perfect for small space gardeners). 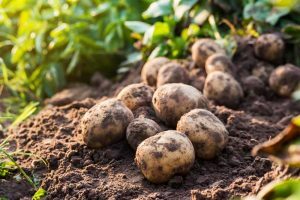 ‘Sunshine Blue’ can tolerate a variety of soils (as long as they drain well) and even some shade, though full sun is preferred for maximum yields. Plant with another variety to keep your bases covered, for cross-pollination. This cultivar is said to tolerate soil with a high pH better than other varieties, and it’s known for vigorous growth in warmer climates, with an upright, compact habit. Developed at Michigan State University with a half-high growth habit, at maturity you can expect ‘Top Hat’ to reach a total height of 18-24 inches, with a spread of 1-2 feet. With white flowers in the spring, its leathery green leaves turn shades of bronze in the fall. These petite plants are great for small spaces, and can be grown in pots – we’ve even heard that some gardeners have experimented with trimming this cultivar into a tidy decorative bonsai! ‘Top Hat’ can also be grown as a border plant. Though they prefer full sun, ‘Top Hat’ plants can tolerate partial shade, and they will grow at a medium speed in well-drained soil. 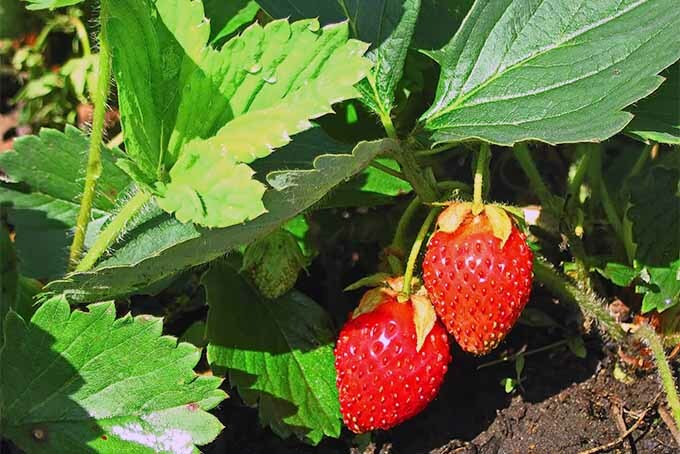 This self-pollinating dwarf variety can be grown on its own, and despite its small size, it produces full-size berries that are ready for harvest in July and August. With so many tempting options to choose from, it’s going to be hard to pick just one. Fortunately, you don’t have to! 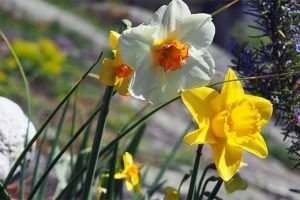 Planting more than one variety of the same type (i.e. highbush or rabbiteye) is recommended, to ensure large harvests. You’ll need to be patient, since production won’t reach its peak until plants are at least a few years old, but this delicious fruit is worth the wait. 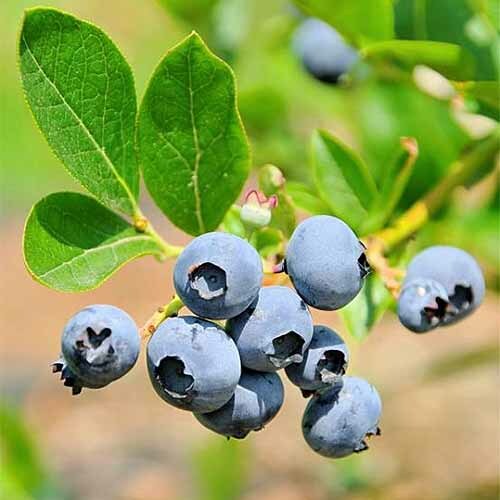 Remember that blueberries do best in acidic soil – a pH less than 5.0 is required to grow blueberries successfully, so test your soil and amend it appropriately before you get to planting, preferably a year in advance for in-ground plantings. Which varieties will you grow? We love hearing from you, so be sure to drop us a line in the comments below! 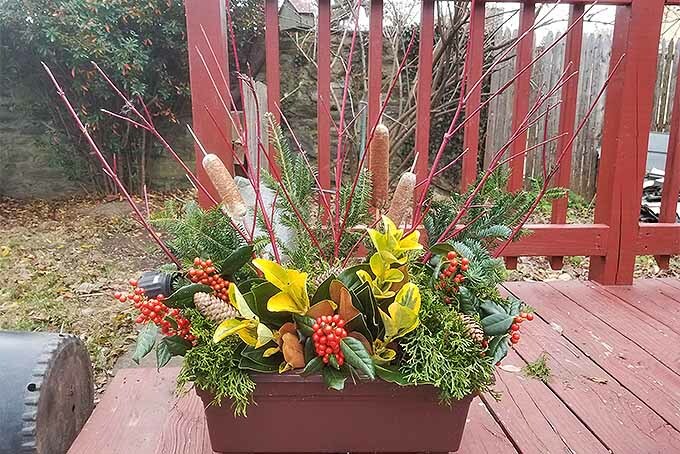 Product photo via Daylily Nursery, Nature Hills Nursery, Hello Organics, and Green Promise Farms. Uncredited photos: Shutterstock. Allison M. Sidhu grew up with her hands in the dirt in southeastern Pennsylvania, and she is now based in sunny LA. She holds a BA in English literature from Swarthmore College as well as an MA in gastronomy from Boston University. When she’s not in the kitchen making a fresh green juice or whipping up something tasty for dinner, Allison enjoys perusing the latest seed catalogs, tending her patio garden, and reading up on the latest in food and agriculture policy. I recently bought a house that has 8 established blueberry plants but they have been neglected. We did get some blueberries… so did the birds! I plan to weed around them but I am not sure how to prepare them for winter and I don’t know what variety they are. We live in Vermont. I want to net them in the spring to keep the birds off… they get the cherries and blackberries, after all! 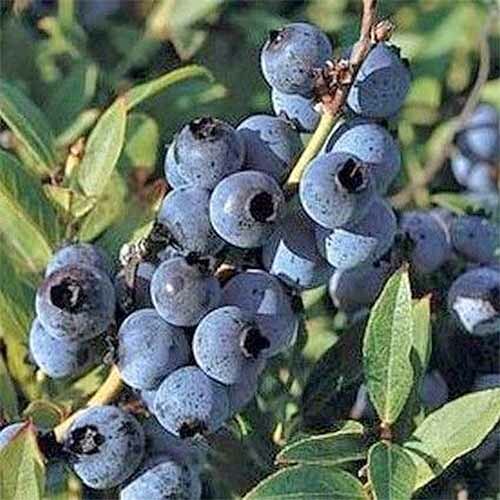 Blueberries can be difficult to grow in warmer environments because they typically require a certain number of chill hours each winter in order to produce fruit the next season, but varieties like the Biloxi Southern Highbush may produce fruit if given optimal conditions otherwise. 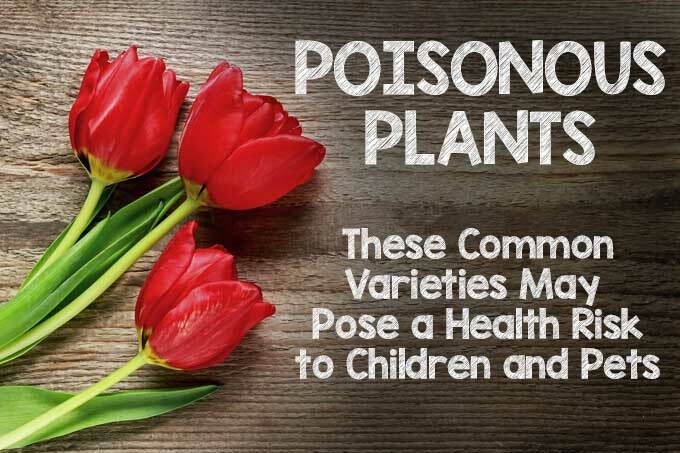 Seek out any variety that is described as “no chill.” Happy gardening, and good luck! Sounds great, Blake. Keep us posted! 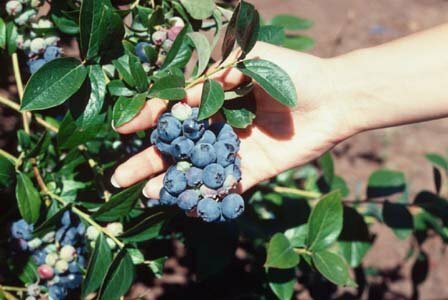 Hello Allison, I have been testing blueberry cultivars for several years and have rejected ‘Top Hat’ and ‘Blue Sunshine’. They are both productive, with decent quality berries. But the over all flavor of these two are pretty weak and just about any other cultivar has better flavor. Also, ‘Top Hat’ has effectively been replaced by one of its own kids: ‘Jelly Bean’. 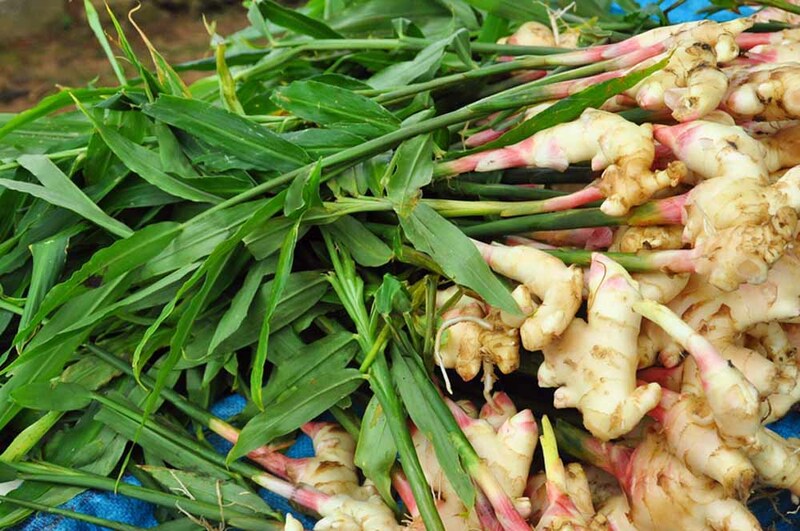 Same heavy production, but now much better flavor and more attractive plant that change colors as the seasons progress. You’ll love it. Awesome, thanks so much for the input, David! I know some gardeners love to see a plant that produces heavy yields, but I’m personally in the camp that will take just a few berries if they taste spectacular. ‘Jelly Bean’ sounds like a good one to check out. ‘Sunshine Blue’ has been replaced too, by ‘Peach Sorbet’. 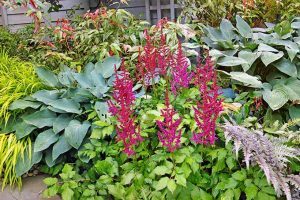 These newer plants are more expensive, but they are really worth it. Since they last for years and years, starting with good material really helps maintain future enjoyment as they grow larger and larger.